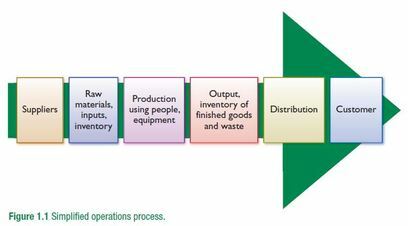 This diagram provides a good overview of the supply chain which is effectively what comes under Operations Management. TASK: draw your own diagram with pictures or cartoons in the box for a particular industry. Think about how it would differ for a service industry. Use this diagram for revision purposes. TASK: Investigate Ryanair and Jetstar for how they undertake cost leadership. TASK: Apply these characteristics to various industries. TASK: Complete this activity (from Hickey, Nader & Williams (2011) Cambridge HSC Business Studies, 2nd edition, Cambridge University Press, Melbourne, p.10).